Putting a timeline on a tee-up time for the 2018 golf season has been a fool’s game. Old Man Winter hasn’t yet received the memo that spring has arrived and Chestermere golfers would like to dust off those clubs already. 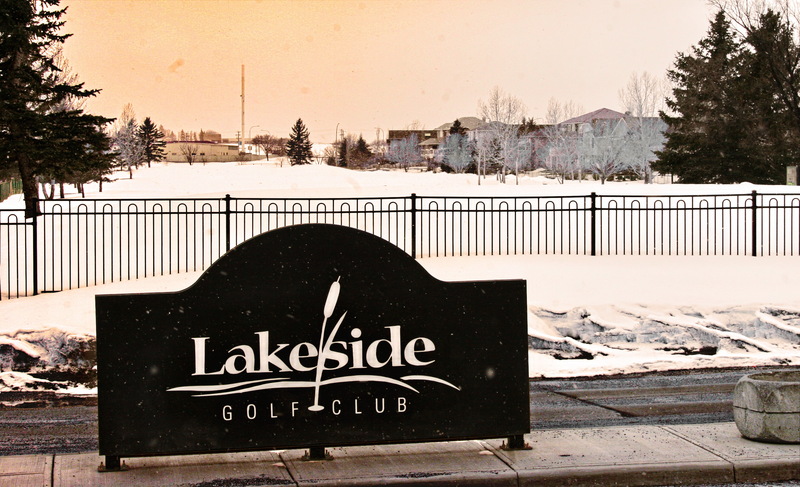 Lakeside Greens Golf Club is still under several feet of snow on many holes, so the prospects of finding a white ball among the white stuff is impossible right now. Just when the club can get up and running is a mystery, as the projected opening date keeps getting passed with no green appearing among the snow drifts. “I’ve had one date, and then I’ve changed it and I’ve changed it again,” said Lakeside director of golf Glen Carr. “All I can say is I’m optimistic we will be able to open prior to the end of April. A year ago, Lakeside — like many courses in this area — opened up for golfers before tricks were being played on April Fool’s Day. Now it’s duffers who are being punked as the available dates to hit the links this calendar year are dwindling. Carr, who has been with Lakeside for four years, said it’s just the nature of the beast with Alberta’s unpredictable weather systems. This year has been particularly harsh though. “It’s a seasonal sport here obviously,” Carr said. “Everyone is hoping it will be nice in early March and we can get on the courses before April. Some years you get lucky and some you don’t. Like everyone else you have to be patient. Typically April and May are big dumping grounds for snowfall, so the prospects of getting the course cleared quickly aren’t that great. What we need is a lot of sustained high temperatures, although the forecast isn’t looking that positive. It certainly doesn’t help that during the month of March we had more than twice the regular amount of snowfall — and it’s not going away. That means there isn’t much ground to work on until a little more clearing can be done. The question now is how quickly will it all melt when the temperature does turn? If it happens fast, then there is a flood risk, and people a variety of industries around the province are preparing for that problem. The Chestermere course has experienced flooding before obviously, but they don’t know exactly how the water will run off if it happens. “We haven’t had this amount of snow before,” Carr said. “We could end up with some ground cover from water. The good news is Lakeside’s overall business shouldn’t be that affected, provided there isn’t a major disruption to the season. Usually they could count on some April business but it’s not likely to happen this year and that’s considered a bonus anyway.